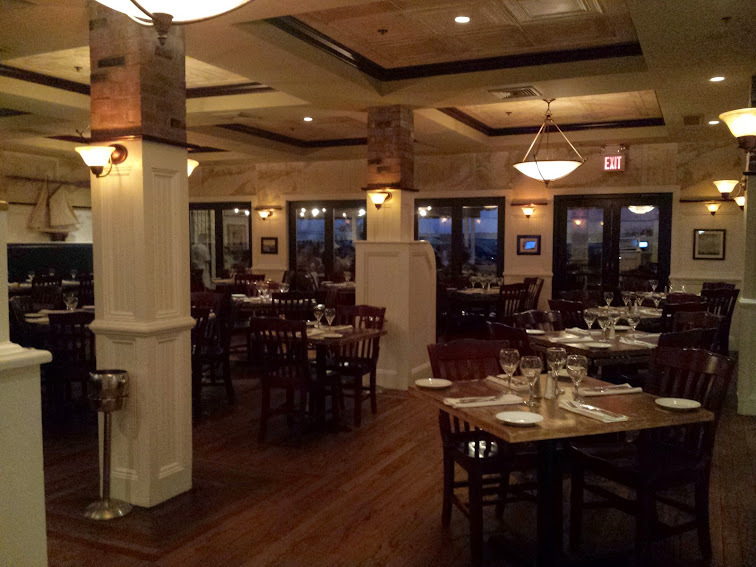 Summer on Long Island brings endless waterfront dining options, so we were intrigued to try someplace new. 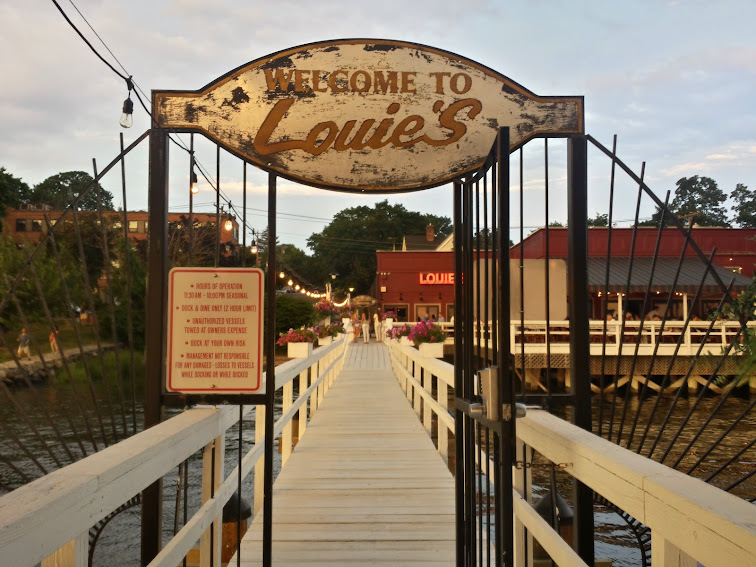 We are so glad to have found Louie's Oyster Bar & Grille, a restaurant that was established in 1905 in quaint Port Washington. 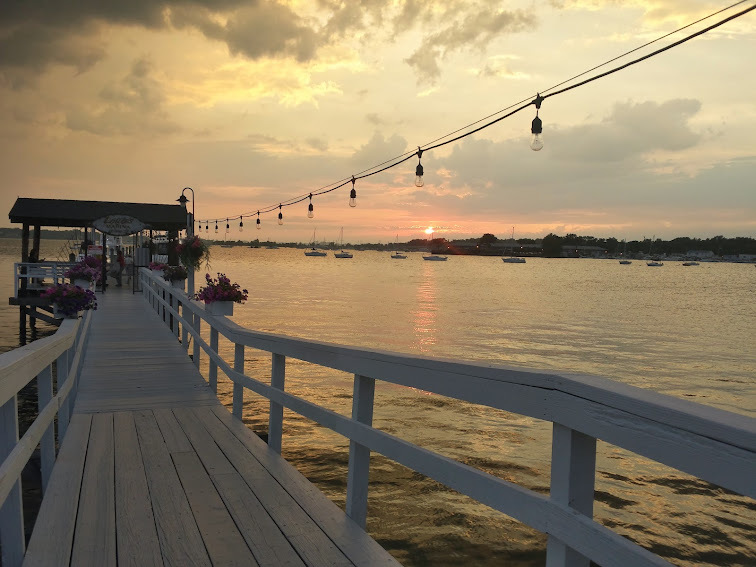 Situated on Manhasset Bay, the spectacular view of the Long Island Sound and the gorgeous sunset created a beautiful setting for an evening on the outside deck. As we walked through the restaurant, we couldn't help but say how beautiful it was down to every little detail. We loved the old photos on the walls, mementos like the tab from 1932, and the wine crates as wooden panels on some of the walls. 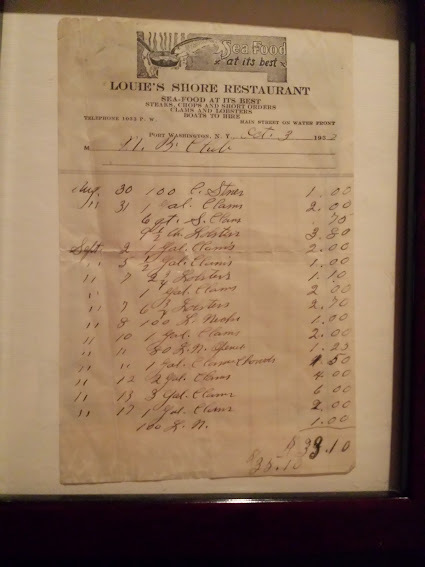 Looking at their old photos (on their Facebook page), Louie's has come a very long way! 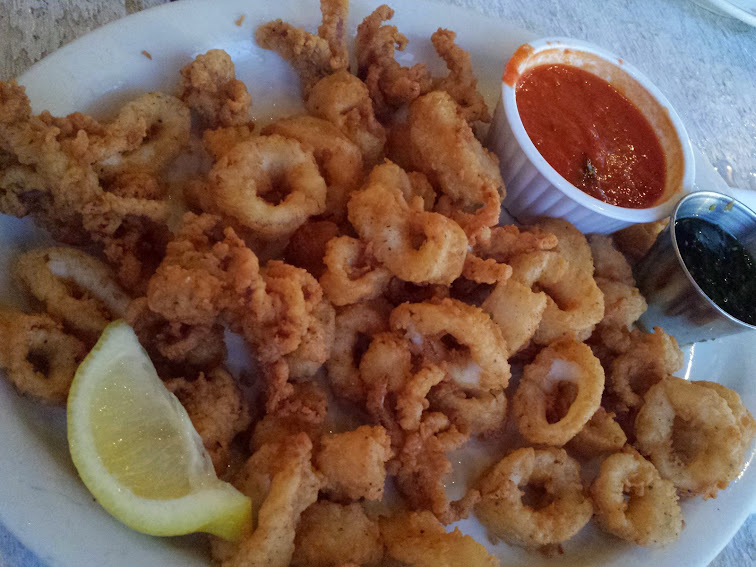 Based on a recommendation, we ordered the Fried Calamari to start. We also got an order of the Kid's Mac and Cheese to come out with the appetizer. The calamari was hands down the best fried calamari we've had to date--perfectly fried, not a hint of chewiness, seasoned so well that it didn't even need a squeeze of lemon, and they even melted in the mouth. No restaurant we've been to has been able to achieve that, but Louie's did! The calamari was served with a side of marinara which was equally delicious and an Asian soy dipping sauce which was a nice change of flavor. The Mac and Cheese was different than most with Orechhiette pasta and a nice smoky flavor. The kids weren't sure if they liked it, next time we will probably try something else. For our entrees we decided on the Scottish Salmon with a basil aioli served over roasted vegetables, and the Striped Bass special served with rice pilaf and cole slaw. When the waiter came over to see how we were doing with our appetizer, he said something about letting him know when we were ready for him to put in the entrée order and that they would be out shortly. Not sure why he thought we'd want to wait, we told him now was fine. "Shortly" ended up being almost 30 minutes. 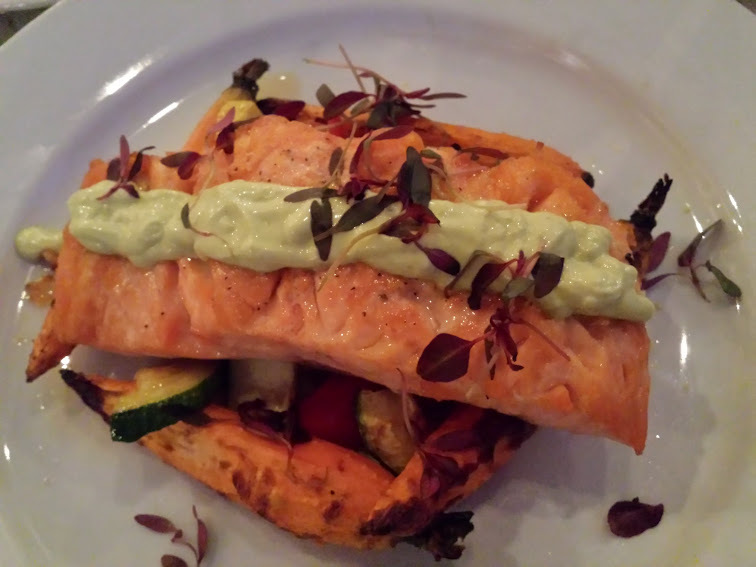 When the entrees came, the Salmon was absolutely delicious and beautifully presented. The outside was crispy without being overcooked, and had great seasoning. Add the basil aioli and you have an extraordinary bite of food. The vegetables were roasted perfectly--a nice mix of carrots, summer squash and bell peppers. The striped bass may have looked small but it was a thick filet, also perfectly cooked. Everything on the plate being some variation of white, it wasn't as visually stimulating as the salmon, but it was certainly delicious. A very mild fish, I'd highly recommend it to picky fish eaters. 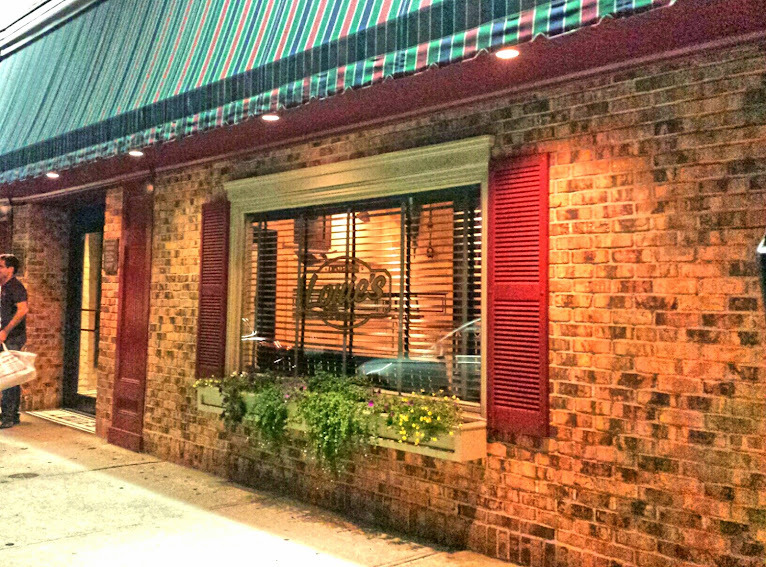 For the most part, service was pleasant, quick and on point, glasses always filled or asking if we wanted refills. The only time service suffered was during the wait for the entrees in which the waiter was pretty scarce, and we noticed that the table next to us got their entrees before we did even though they ordered after us. Aside from that, all of the staff were great! The prices are a little up there, but the quality of food plus the gorgeous views make it worth it for sure. 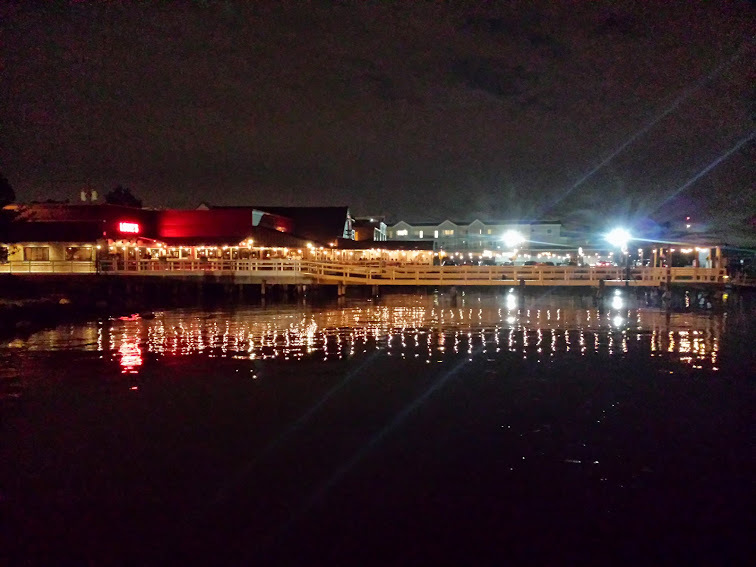 It was unlike any other waterfront restaurant we've been to and we will definitely be back.